In a Gallop Poll, it was discovered that the vast majority of employees worldwide hate their jobs. But why do most people hate their jobs. There are several reasons actually, but they all can point back to one broad reason – their needs are not being adequately fulfilled. 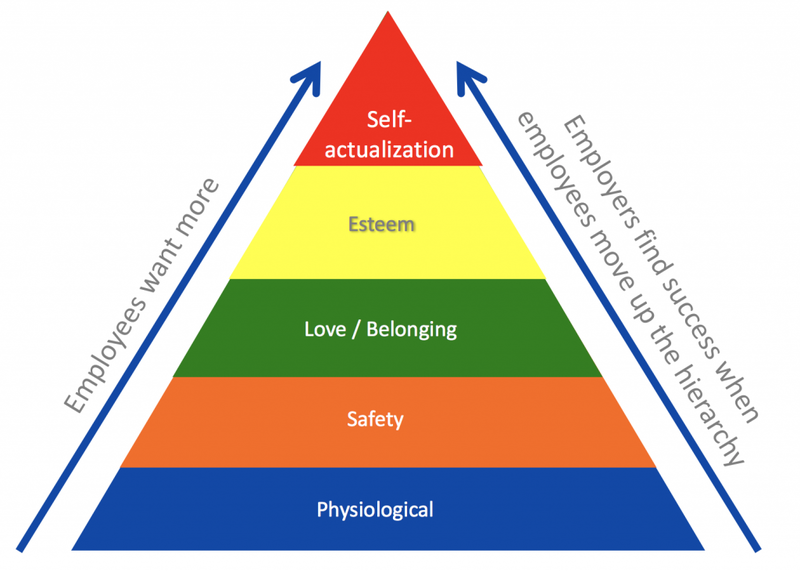 Where Does Your Job Put You on Maslow’s Hierarchy of Needs? Maslow’s hierarchy of needs speaks of five types of needs that all human beings require for a happy life. These needs relate to all aspects of life including work. As an employee, you should understand these basic needs and determine if you are being adequately engaged in your job. 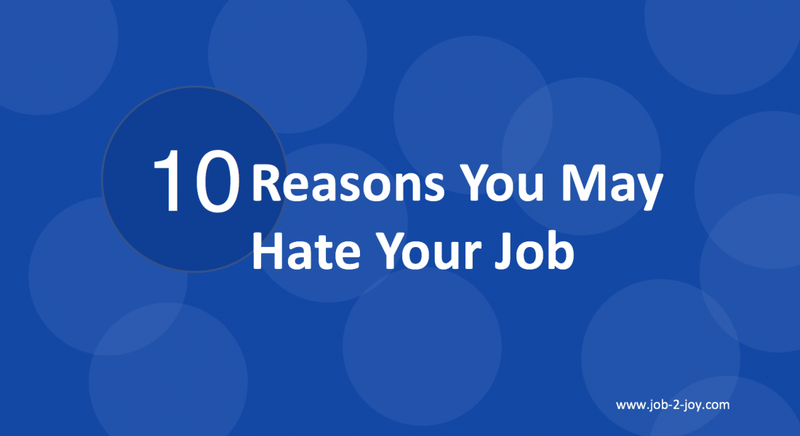 Understanding this could unearth the root to why you most likely, hate your job. Does Your Job Help You Meet Your Physiological Needs? At the very base are physiological needs, such as the need for food, water, shelter, clothing and so on. Most people start off working to meet these basic needs. In other words, most people have jobs to simply pay the bills. Now while this may be important it does not truly satisfy people’s innate desire to be more and to do more with their lives. Although physiological needs are considered very basic, you’d be surprised how many people are barely able to make ends meet and to satisfy these basic human requirements. 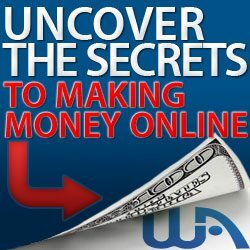 They get a job in the hope that the job will be a means to achieving this basic objective. However, many are still struggling. As a consequence they are unhappy in their current jobs because they are not making enough to cater to their physiological needs. Do You Feel Safe in the Work Place? Moving up the pyramid we find safety as another important need that must be met. Safety is another basic human need. Every human being wants to feel safe – safe from harm, job security, and so on. So we see that many people take up certain types of employment because they perceive a particular level of stability and job security. People will definitely be unhappy if they cannot see a future for themselves. If their job does not provide a certain level of security and comfort the they will be unhappy. However, job security can only carry you so far. If your job is ‘safe’ but you have no real sense of meaning then you are bound to be unhappy. Do You Feel as a Sense of Belonging at Your Place of Work? Another need that must be fulfilled, according to Maslow, is the need to feel love or a sense of belonging. You see, we humans are social beings. As mammals, we have an innate need for human contact and a sense of being part of a ‘herd’, be it family, a gang, a religious group, a particular ethnic group, and accepted by society. Of course, work plays a critical role in this sense of belonging. After all, we spend about one third of our lives in a work-related environment. So being in the workforce satisfies the need to belong. However, if this is not nurtured, then the feeling of belonging can disappear. If employers do not find ways to foster team spirit, then the feeling of belonging can disappear. Family days, staff meetings, open and free discussions, having a positive informal culture within the organisation can all foster a feeling of belonging. However, many organisations are task and results oriented. They are not interested in creating a family atmosphere so much. They are more interested in getting the job done. But little do they know that creating positive team dynamics can increase productivity. 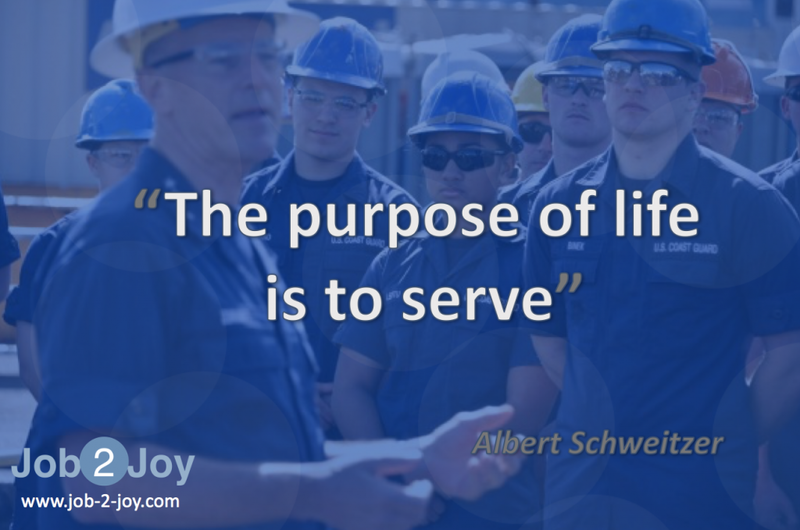 Does Your Job Give You a Sense of Meaning and Purpose? Once the three basic human needs are met (physiological, safety and belonging), people then want to look for more meaningful opportunities within the work place. The two top needs that fuel a true sense of purpose are the needs for status and self-actualization. Basically, people need to know that they matter and that they can make their mark. When employees do not feel rewarded, recognized, trained, promoted, given important tasks or do not see how their contribution impacts on the bottom line of the organization, they tend to start losing interest in their job. The unfortunate thing is that most employers are still stuck on the lower end of the spectrum in terms of trying to make their employees happy. Many employees today, if asked if they are paid well, may very well say that they are not. If asked if they are properly respected, rewarded and recognized, I’m sure many may also say no to that question. 8. They feel as if their ideas and creativity are being stiffled. They are not listened to. 10. They have been given no room for personal development and growth. The employer did not create or allow opportunities for training and professional development. Were you able to see the link of each point with the Maslow hierarchy of needs pyramid? Out of the ten items listed above, which ones do you identify with? Take this short assessment to determine if you are truly happy in the work place. This is one test where the higher you score the more you lose. When finished, come back and share what score you received. If you have come to realize that you are unhappy in your current job and are looking for a way out, this is your first step towards solving the problem. You may even be afraid of getting a job elsewhere, just in case you move from the frying pan into the fire. But there are other ways to being unhappy. Happiness is a choice. And happiness in your jobb is no different. If you wish to move away from a job and want to find real joy instead, I just might have the solution for you. It’s not for everyone, and it is definitely not a ‘quick fix’. But you can have a look my recommendation and decide for yourself. If your J.O.B. is not cutting it, then you should consciously make the decision to find J.O.Y. You are meant to be free. You were born to be happy. Joy is your natural birthright. You have as much right as any other human being on planet earth to happiness and fulfillment. The only thing standing in the way is you. Take a leap of faith today. Take the time to choose your next step wisely. Don’t just see it as an escape, but rather embrace it as an opportunity for you to make a better life for yourself. You deserve financial freedom. You deserve to feel respected and wanted. You deserve to be creative and to matter. You are worthy enough to make a huge positive impact on this planet. 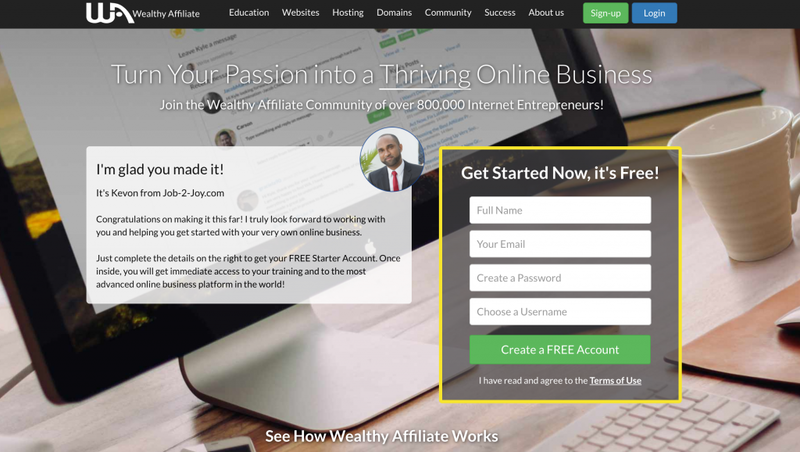 Join me and over 800,000 other people who have decided that enough is enough and are opening up themselves to wonderful possibilities. What an article Kevon! I believe this “hierarchy of needs” was Maslow’s most significant contribution to the world of psychology. You’re right – People don’t realize, nor do they understand that they are born free and happy individuals, and that life is meant to be enjoyed for the most part! Not saying just have fun and party all the time. Everything’s become so complicated and stressful in our world! When there’s balance in one’s life, then life is great! It’s only when we don’t balance ourselves, and keep our life in check, that it becomes the opposite. Thanks for reading and commenting Paula. I couldn’t agree with Maslow more. Unhappiness is really manifested when people “sell themselves short”. In other words, they are not living in alignment with their true nature and their true purpose. Whenever there is a separation or gap between who we are and who we are meant to be we encounter unhappiness. You are right. I worked in a company for 25 years and I loved my job until the administration change and the new managers didnt care as much for their employees. We were overworked, we were not treated fairly and were underpaid for the work we where doing. It´s incredible how people can make a good job, one that I loved, to be turn in something that it made me feel to want to quit. THis is a classic example of what this post is talking about Rubben. Most times employees never hate their job because of the work itself, it’s usually their bosses not meeting their needs and expectations. What did you eventually do in the end? Did you quit? 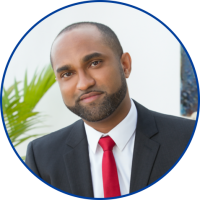 Kevon, great blog! I’m in management. What I find with many managers is that they are managers and not leaders. They see themselves as “bosses.” I know what some are going to say, “They are!” That is why I put quotation marks. There is a difference. Leaders set vision and help those under him or her succeed in reaching company goals. They also set themselves as examples and tend to sacrifice “for the team.” They inspire their employees. Managers, on the other hand, tend to make sure goals and direction is being met among other things. Both are good. Both are needed. The problem that I see is so many managers are bad, with no real understanding of their roles. In some cases don’t care. Right now were in a bad economy. I see many managers taking advantage of that. I see it daily. This is a big topic and would like to say more on this, but I have to run. I will close with this. My staff and I get along great. I want them to succeed. It makes me look good in the end. My secretary wanted two days off this week for a conference. I gave it to her without her having to burn sick leave or anything else. When the time comes and I need help she always comes through. Thanks Don for sharing this comment. I totally agree with you there is a difference between being a manager and being a leader. 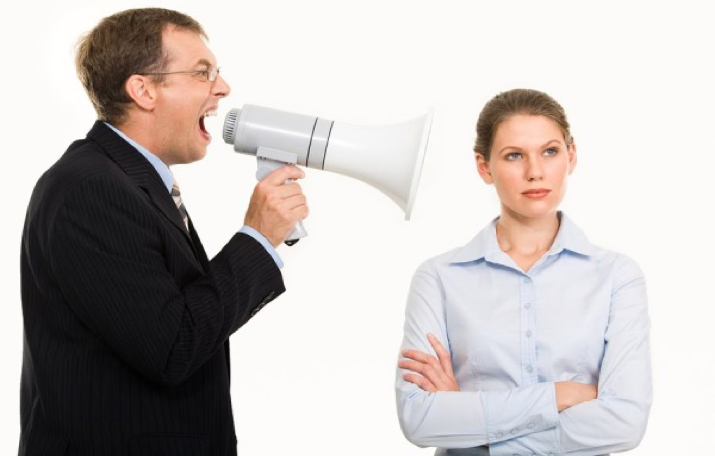 Very often when you find an employee who hates their job 90% of the time you’ll see that it has something to do with their boss/manager. Hello Kevon. Great blog. You hit the nail on the head about people struggling to meet their basic needs even when they thought they would. In terms of belonging I also can attest for that, however I think this is sometimes caused by different demographics. I find it hard to socialize due to different experiences with my colleagues but I think closing functions and other work events are meant for that. We can talk all we want but money can never be enough. So regardless on your tasks no one will say I am satisfied by the salary I get. This boils down to our basic needs being met, if I am struggling with my salary then I will obviously feel robbed. THanks for your comments Sibbusiso. I totally agree that money only goes so far. You could keep adding more and more money, but that would never truly make someone feel fulfilled. But money is the basis that must be met first before you move higher up the pyramid. And when employers understand that, they will create happier employees.